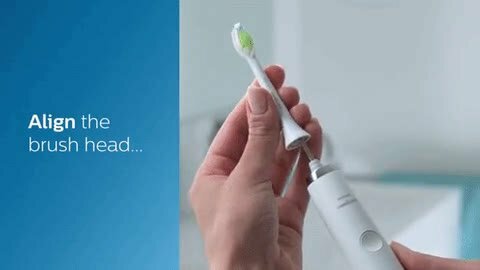 Philips Sonicare toothbrush helps whiten the teeth faster than normal toothbrush. It does a good job with use of soft Fibre material that is being power by an electric DC battery. A Full charge of the device can last up to 2 weeks of use so no need to bother about charging always. The Philips electric toothbrush is a perfect toothbrush for people who have problems with their gum. It does not have any kind harsh reaction with the teeth.